Founded in 1997, Incase® has striven to make products that protect the technology that is essential to our lives. With a relentless commitment to design, Incase creates innovative products that provide customers with an uncompromising, elevated experience—one that exceeds expectations while raising industry standards. Incase endeavors to give their customers the best-built solutions for housing and protecting their products: clutter-free design and lasting durability. By immersing themselves in the communities they serve, Incase creates the highest quality carrying solutions in all Apple® product categories and for all situations. Their constant aim is to rise above conventions. To create the best messenger bags, laptop sleeves, iPod® cases, and other quality carrying bags, Incase looks to musicians, athletes, industrial designers, artists and mavericks across the cultural landscape to help them create the ultimate consumer products. The backbone of the Incase product development process is to be inspired, create great ideas and have the determination to implement them into reality. Their industrial designers employ exacting design protocols that ensure that their products constantly evolve to meet the needs of emerging markets and an ever-expanding variety of Apple product experiences. Utilizing advanced construction techniques and innovative materials, Incase products offer a combination of intuitive functionality, elevated design, superior protection and ease of use. I bought this to use as a stylish diaper bag bc I was using cloth diapers and I have 5 kids. It's very well built and comfortable to wear. I like that there are two different ways to access the larger compartment. There are also removable sections that make it personalized. We still use it as a backpack although not for little ones anymore. 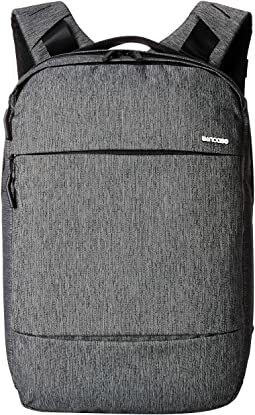 The shape holds up really well and there is a lot of cushion surrounding your belongings. 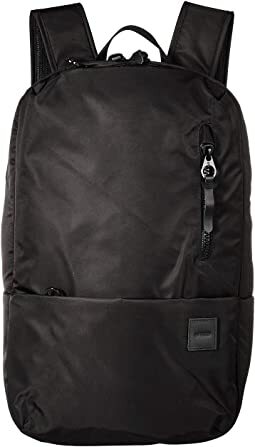 Great bag for work and school. Took the time to organize and didn't realize when i purchased how many pockets and how awesome the layout of the pockets are. Couldn't be happier with this purchase! Great bag all around! 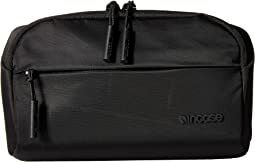 I bought this bag for my guy who didn't want to carry a heavy briefcase (not enough stuff to warrant a briefcase), a man-purse (not his thing) or a backpack (not professional enough), but needed something "manly" to carry all his loose stuff like wallet, smartphone, a book and the occasional hard copies of work documents. 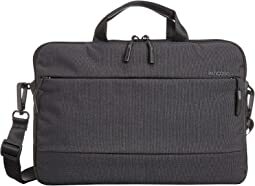 Though it's designed to carry a MacBook or a tablet, this bag is awesome when you want something professional looking that is light and sleek. Fairly compact bag. The 15" retina MacBook Pro just barely fits (with a slim Speck See-Thru case) due to height and width (not thickness). I have two moleskine notebooks in the compartment with it. With this added bulk, I can still fit the power adapter but closing that pouch is tough. The other pouch holds a mouse, VGA adapter and some pens without a problem. 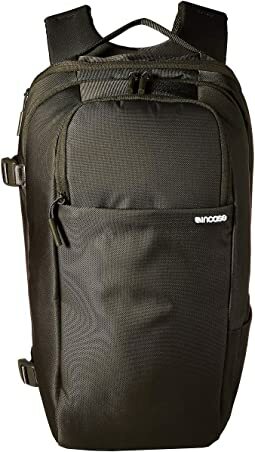 I'd feel comfortable dropping it no more than 6 inches with the amount of padding (as compared to a previous bulky Brenthaven case, I'd dropped it 1 - 1.5 feet without a worry). Overall, it works as a compact case providing some protection. I LOVE this bag. The inner lining is nice and soft. Lot's of large pockets for all my gear. The straps are the bigger differentiator between this bag and others I checked out. They are so comfortable! It doesn't open completely like some bag do, but I haven't found that to be a problem. Having the two large compartments and one smaller one make it easy for me to cary two MacBooks and a full sized iPad when I need to. Great balance of storage space without seeming bulky. 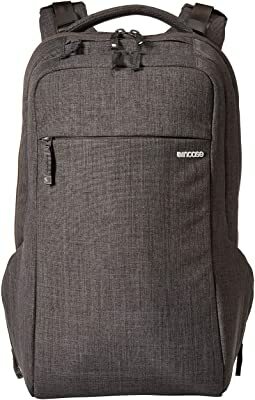 I bought 10 backpacks at once from all different brands. This one won. Incredibly comfortable and as big as you can go to fit under an airplane seat. High quality production. Incredible backpacks for all my work, digital and personal needs. It holds a 15" Macbook Pro very comfortably. 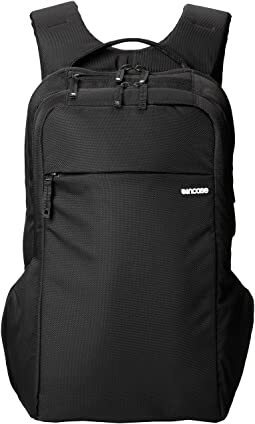 This is the best backpack on the market for any Macbook. I was really excited when I had first laid eyes on the DSLR PRO by Incase, this is exactly what needed. I own a Canon 7d with a few lens a flash and a Zacuto view finder pro, which all have traveled in an older Incase bag. I also own and like to travel with my 15inch MacBook w/ Magic Mouse, iPad2, and a Nexus 7. All of these devices travel in their own Incase bag or neoprene case. It was always a hassle carrying at least three pieces with me every time I traveled fir chemo or went to the lake, so the DSLR Pro looked very accommodating. Anyhow I got the dslr pro and everything above fit very nicely into the bag with no room to spare. When the bag is loaded it weighs a lot, making it impossible for my wife to carry for any period of time. Some people might have a hard time traveling with such a heavy bag. Incase make pretty good products but they have no customer service at all. If you rub Incase the wrong way they seem to blacklist you and ignore any questions or issues you might have about one of their products. 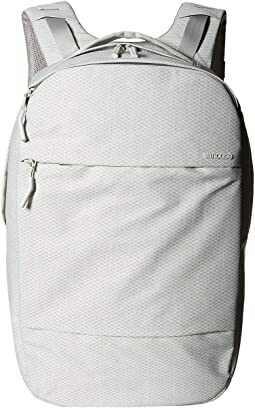 I had written Incase a really nice letter explaining my battle with cancer and wanted to see if they could help my family obtain this bag for our use for weekly trips for chemotherapy. All we really wanted was a few bucks off even to just offset some of the cost on us, sad thing is I never heard back from them. I wrote them another email asking if they had received my first email they simply responded with a two line email stating Incase had no promos at this time. But of course I looked past all this and bought the bag anyhow cause I knew what an important roll it would play in helping our family travel for my chemotherapy. So the bag itself is made really nice but like I said don't ever ask Incase for help cause they just don't care. This is by far the best camera bag I have ever had. I shoot video with a DSLR and have a lot of extra gear. 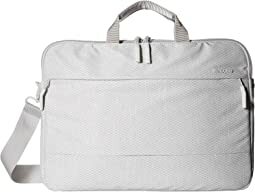 The quality of the bag is great, and the laptop/ipad slots are great. Seriously, stop looking. This bag rocks! This is the best bag I've ever owned, as far as laptop bags are concerned. 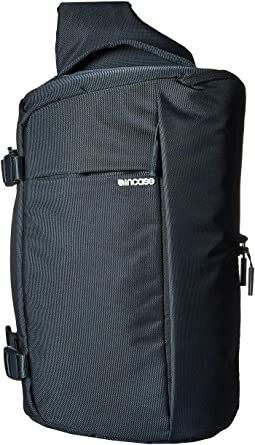 I have another bag for my cameras but this bag can definitely keep up with most basic-mid level DSLR bags. I primarily use this if I need to take my office with me. 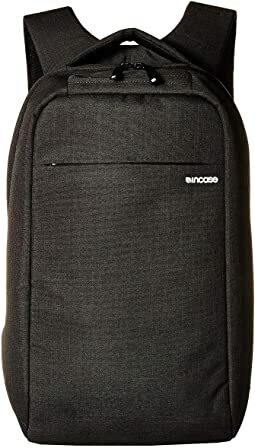 It can fit my laptop, iPad, sketchbooks and magic mouse easily in the front compartment and I've re-arranged the larger back compartment to fit headphones, a large raid drive, chargers etc. 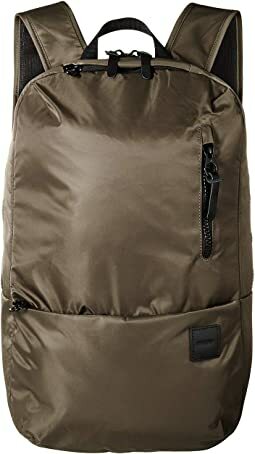 On top of all of that, this bag is very comfortable and has a lot of easily accessible smaller pockets. And it doesn't look like a camera/laptop bag so you don't have that "mug me" look that camera bags give you when you're walking down the street. If your thinking about buying this bag, stop thinking and do it already! It's amazing, comfertable, great looking, and stores a large amount of photo equitment. Couldn't be happier. The quick grab compartment at the top of the bag for your camera is such a great feature. I've owned a lot of camera bags and have never been happy with any of them. I travel a lot and need 2 cameras plus an iPad and at least a Macbook Air. This bag is the first that I've come across that fits these needs and more. The construction is great and it's comfortable on your back. Fantastic bag. This is a near perfect bag in my opinion. 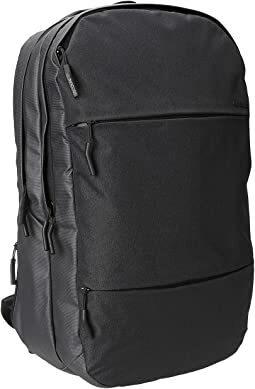 It looks good, it is comfortable, and it holds a lot of gear. The only problem I have with it is the tripod straps. They are just a little too small, so it is a struggle to get the tripod to fit. If the straps were a little stretchy or they used buckles instead of a cinch style strap they would be perfect, I am considering modifying them myself. 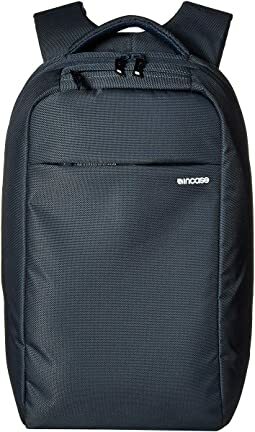 In this bag I'm able to carry a Canon T3i, three lenses, a Canon HF S200 video camera, a Rode Videomic Pro, as well as several extra batteries and flash cards for each camera and a 126 LED Panel light. All of that with plenty of room to spare. 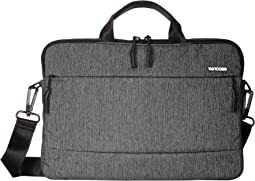 A great bag for your camera and select additional gear in compartments. Tall and narrow, a somewhat unusual shape, but low-key and inconspicuous. Sits comfortably on the shoulders. No room for books or papers of any size. Note: resizing internal compartments is limited because 'female' velcro is only in certain places.